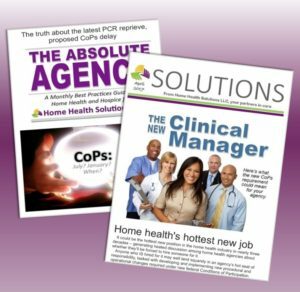 As home health news spotlights a proposal by the Centers for Medicare and Medicaid Services to overhaul the Medicare payment system beginning in 2019, hospice agencies have been quietly evaluating some changes CMS has in store for them in the next fiscal year. 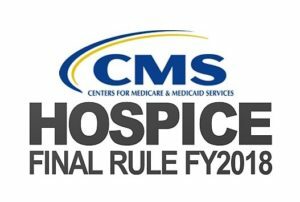 CMS has authorized a 1 percent increase for hospice payments beginning Oct. 1, 2017, in a Final Rule for FY 2018 which also updates the hospice wage index and places a cap amount for the fiscal year. Other noteworthy content in the Final Rule is a decision not to make a previously-discussed regulatory change regarding requirements for clinical information to certify life expectancy, and updated information about a comprehensive new patient assessment tool which is now under development. The tool will eventually be used to replace the existing Hospice Item Set known as HIS. CMS initiated a 60-day comment period last May on the measures addressed in its FY 2018 Final Rule, and both the comments received and its responses appear in the Final Rule published to the Federal Registry Aug. 4. The Final Rule may be viewed by clicking here. 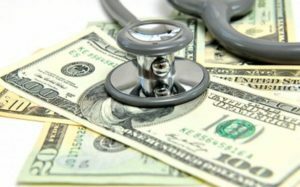 “Many of the commenters expressed concerns that the 1 percent increase was not substantial enough, but CMS explained that the 1 percent payment update for FY 2018 is mandated by section 411(d) of MACRA, the Medicare Access and CHIP Reauthorization Act of 2015, ” said J’non Griffin, President and Owner of Home Health Solutions LLC. “In addition, CMS clarified some aspects of the clinical information now required for certification of life expectancy and decided against making any change at this time in regulations regarding accurate sources of the required information, ” J’non said. The hospice cap amount for the 2018 cap year will be $28,689.04, which is equal to the 2017 cap amount ($28,404.99) updated by the FY 2018 hospice payment update percentage of 1 percent. 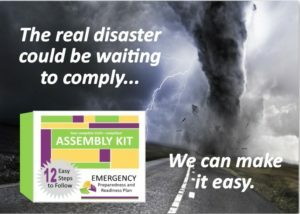 CMS decided not to make a change at this time in the regulations at §418.25, clarifying that the documentation used the initial certification of a medical prognosis of a life expectancy of 6 months or less must come from medical records provided by the referring physician or acute/post-acute care facility. CMS also confirmed that “…this clinical information can be obtained orally from the referring entity and documented in the patient’s chart within the 2 day time-frame needed for certification” and clarified that the hospice medical director or physician designee would not be required to perform a face-to-face visit before the third benefit period recertification, as currently required by the regulations at §418.22(a)(4). “In announcing the decision not to make the regulatory change at this time, CMS stated that it plans to work with Medicare Administrative Contractors (MACs) to confirm whether specific information about appropriate sources for required clinical information should be included in additional documentation requests,” J’non said. Quality Reporting updates in the FY 2018 Final Rule include some changes in compliance criteria. Hospices will be allowed 60 extra days to request an exemption or an extension when submitting quality data for HQRP. Currently, hospices have 30 days in which to submit requests for extensions or exemptions. Under the change, a hospice which suffered damage due to a hurricane on Jan. 1, for example, would have until March 31 to submit a request form to CMS. The 90-day period would apply to requests for exemption or extensions in submitting multiple types of data, including HIS data and the requirement to collect Consumer Assessment of Healthcare Providers and Systems (CAHPS®) Hospice Survey data on a monthly basis. 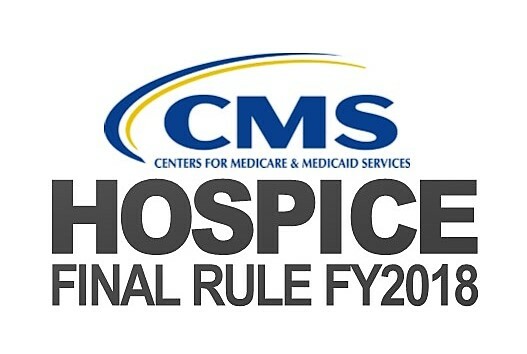 Although it did not implement a new patient assessment tool in the FY 2018 Final Rule, CMS said it wants to bring the current Hospice Item Set (HIS) data collection instrument in line with other post-acute care settings, and is working with a contractor to develop a comprehensive patient assessment instrument which would replace the current HIS. The new data collection tool is preliminarily called the Hospice Evaluation & Assessment Reporting Tool, or HEART. “Basically, the new tool would function as an expanded HIS, with additional clinical items that could also be used for payment refinement purposes or to develop new quality measures,” J’non said. 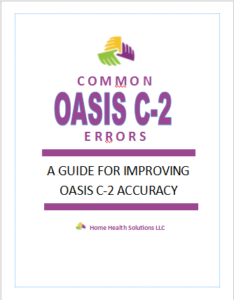 “HEART would not replace any of the existing requirements set forth in the Medicare Hospice CoPs (such as the initial and comprehensive assessment), the CAHPS® Hospice Survey or the regular submission of claims data, but would instead be designed to complement data collected as part of high-quality clinical care,” J’non said. Patient assessment data would be collected upon a patient’s admission to and discharge from any Medicare-certified hospice provider, she added.